I have a couple of friends (who happen to also be a couple) that used to live in Central Falls, RI. I was first introduced to La Sorpresa by one of those friends and occasionally we would swing by to grab a couple of items for lunch to go and eat it at his apartment. At the time of this blog post, they have recently moved to the Boston area, so I hope this post reminds them of some of the delicious food they left behind! 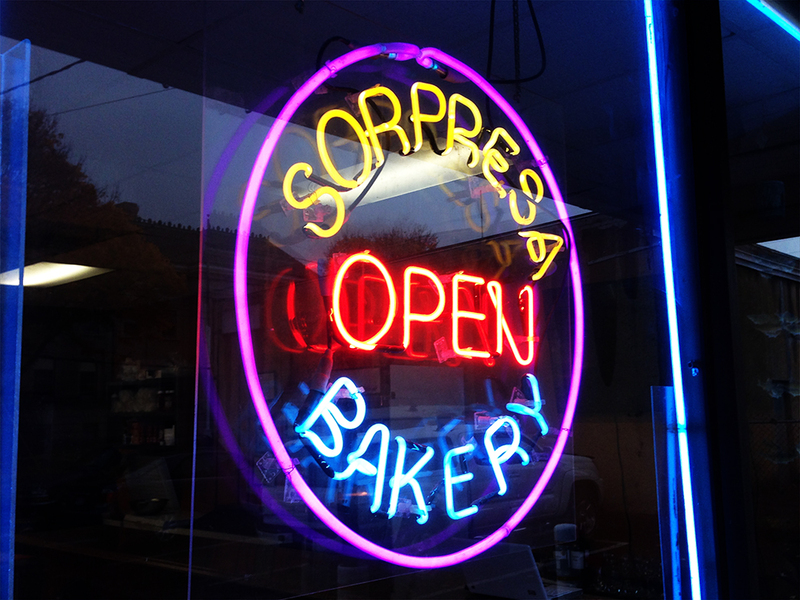 La Sorpresa is a decent size for a bakery and small for a restaurant. They have seating available inside the comfortable and casual bakery where customers can eat whatever they purchase. It’s fairly straightforward once you’re inside. 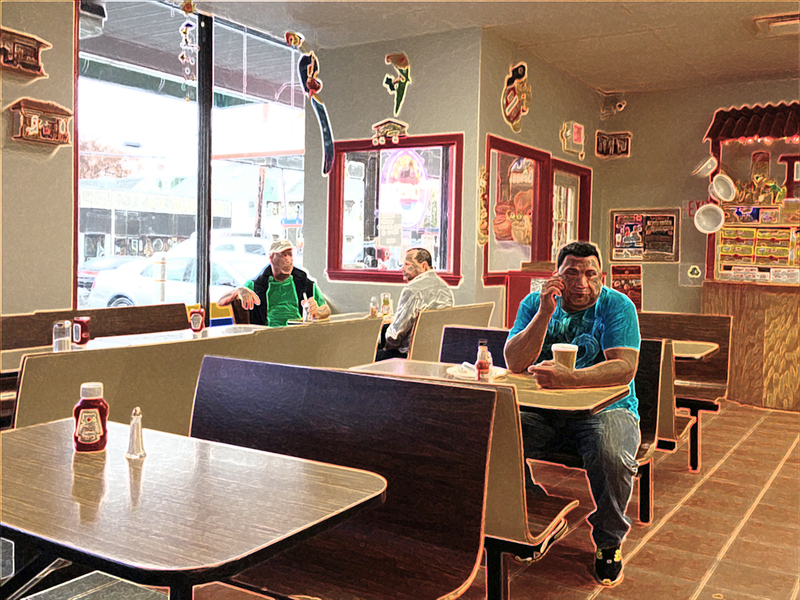 You simply walk to the counter, order your food and either take it to go or grab a seat to chow down. The service is quietly friendly and efficient without any frills. The first thing that my eyes land on when entering La Sorpresa are the cases of prepared food. 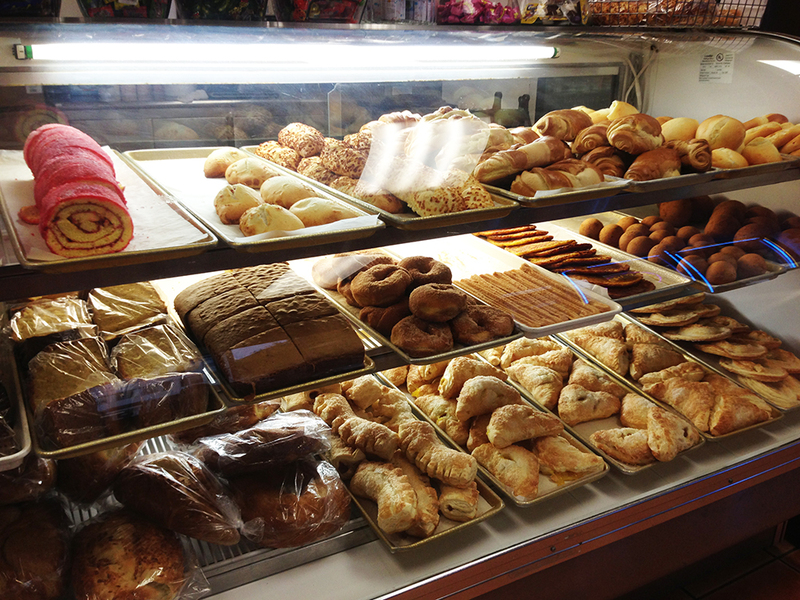 They are full of Latin-American goodies like sweet and savory pastries or classic comfort foods. I have never really tried the pastries although they look like they would be tasty as well as filling. If the lunch or dinner items are any indication of their quality, then I’m sure they’re great. When my friends and I go to La Sorpresa, our eyes are on the fried prize. We always order chicken/beef empanadas and chicharron. Most people know what empanadas are (the Colombian version has spiced meat with potato stuffed in a crispy fried cornmeal shell), but a lot of people don’t know what chicharron is and I pity them. 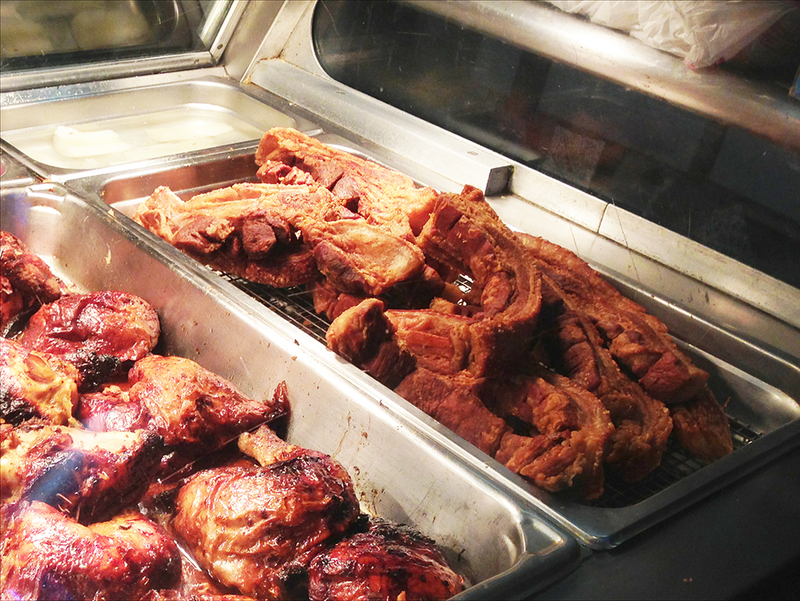 Colombian Chicharron is fried pig skin with the fat and bits of pork meat still attached. It is reminiscent of un-smoked bacon, however, it’s much more “porky,” hearty, and salty in only the best way (see the picture below with the item to the far right). There is something for everyone on a piece of chicharron (assuming you’re not a vegetarian/vegan). The three components (skin, fat, pork meat) are amazing together, but if you prefer one part over another, the pieces pick apart fairly easily for varying combinations. 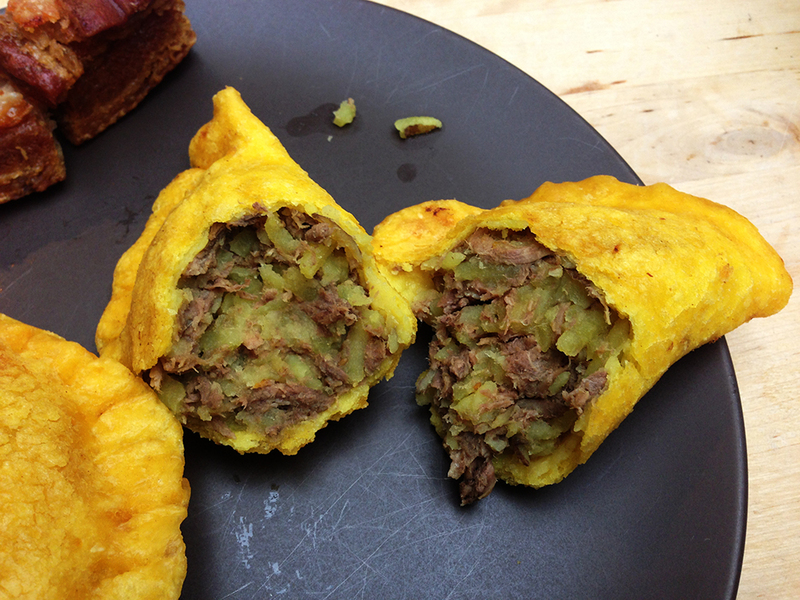 It may not sound like much, but two empanadas and half a large piece of chicharron is a pretty filling lunch. The empanadas are great hot or room temperature and they re-heat exceptionally well in a toaster oven. The chicharron seems to never lose its crispiness. 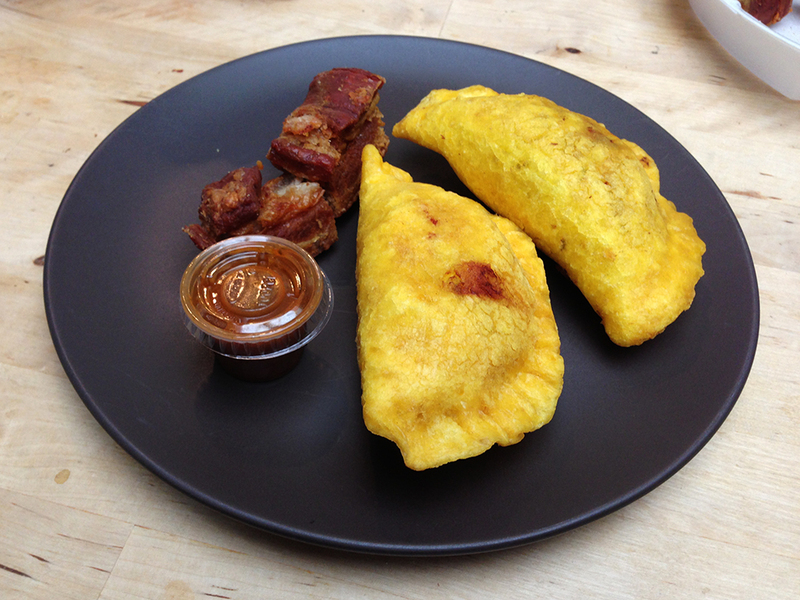 The cormeal outside of the empanadas compliment the perfectly spiced meat inside these masterpieces. You can eat them as they are or pour a little bit of La Sorpresa’s red hot sauce over them for some added kick. Really excellent and extremely affordable Colombian food. If you happen to be in the area, you really should swing by for the empanadas and chicharron. Now. Eff yes. That’s all I’ve got!